Tampa Bay Rays Baseball - Rays vs. Orioles, 7:10 p.m.
After winning 90 games last season, first time since 2013, the Tampa Bay Rays are predicted to be a force in the American League in 2019! 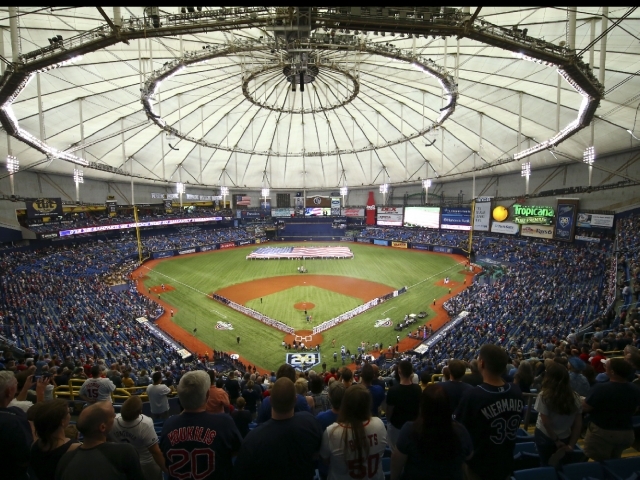 Come watch them take the field in downtown St. Pete at Tropicana Field, recently revamped with a First Base Food Hall where fans can get a taste of local bars & restaurants. And after, enjoy the neighboring Edge District, which is lined with local and authentic breweries, shops and restaurants.